Meet the “Golden Girls” of Girl Scout Troop 520 of Girl Scouts of Nassau County. Not only have most of the girls been together since Daisies, but 10 of the 11 girls earned the Gold Award this year— and the 11th is currently waiting for final approval on her completed project. Connie, mother and adult Girl Scout Volunteer, has led her Troop of girls from Girl Scout Daisies into mature Girl Scout Gold Award honorees. Congratulations to Connie and girls on a job well done! Learn more about the Girl Scout Gold Award and Girl Scouts' Highest Awards. 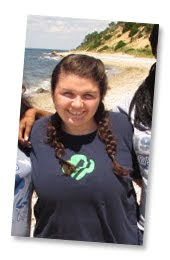 My time at Girl Scouts of Nassau County as an intern was less about having an internship for the summer and more about being able to take an opportunity to continue my Girl Scout journey and give back to an organization that had a profound impact on my young adult life. Being able to work as an intern for the summer in the Marketing and Communications Department has allowed me to experience Girl Scouts in a new light and from a different perspective. As a current college student with a Broadcasting Major and Minor in Business Marketing I looked forward to learning about Media and Marketing from a not for profit perspective, a perspective different from what I am studying in school. Coming into the start of my internship, I was unsure of what to expect as there are many tasks and responsibilities that are taken care of each day and week within the Marketing Department. To my surprise and liking, I was able to experience and learn about the many different aspects that take place on the business side of Girl Scouting each day. Describing my tasks and responsibilities as an intern can be summed up as being able to showcase what Girl Scouting is all about through the use of media and marketing and there were many ways I was able to do so. Writing blogs about Girl Scouting events and experiences allowed me to communicate to girls the amazing opportunities that await them when they join Girl Scouts. In writing and publishing such blogs, I learned how powerful words can be and how using the right words can make a difference and impact the person reading them. Publishing blogs was not the only thing that allowed me to showcase the Girl Scout experience, in fact being able to prepare for and help run the Girl Scout Gold Award ceremony was an amazing opportunity in which I was able to showcase all the incredible things a young woman can accomplish if she stays with Girl Scouts. From helping to write Gold Award biographies, to making presentations for the ceremony, I learned all about the preparation and behind the scenes work that goes into hosting a ceremony on a large scale. Working with the project was a great way for me to see all the incredible ways Girl Scouts have been and will continue to help their communities and make a difference in the world. Learning about the awardees’ projects also allowed me to effectively communicate to others what it takes and means to earn the highest award in Girl Scouting. 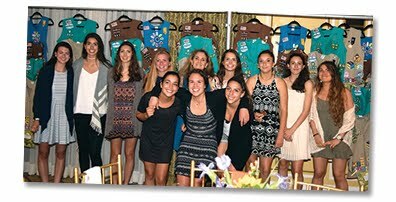 As a past recipient of the Girl Scout Gold Award, I knew how earning the Gold Award can have a tremendous impact on the community and myself, but what I did not realize was how preparing for and hosting a ceremony to honor all the recipients can also have a profound impact on all those attending. In preparing for the ceremony I learned what it takes to plan an event on a grand scale and being able to see everyone’s hard work come together was truly special. The time spent preparing for the Gold Award ceremony was the most intensive part of my internships, but my work and experience did not stop there. Throughout my entire internship I was able to learn more about Girl Scouting in many different ways whether it was listening to communication webinars, interacting/meeting with employees from other departments or working on projects that not only impacted the Marketing department, but other departments as well. Taking a trip out to GSNC’s Camp Blue Bay was one of the many opportunities that gave me the chance to work on a project that impacted departments beyond Marketing. In collaborating with the Program department, specifically Camp within that department, I was able to take photos of camp life that will help advertise and draw girls to sign up for camp sessions. Taking photos and helping to create editorial videos of camp life are just some of the many ways that marketing and media can be and are applied to other departments apart from their own. Taking this internship was an incredibly influential experience. The skills I learned and enhanced, the projects I was a part of and worked on and the relationships I have built throughout my internship are all things that I can and will take with me back to school and to future internships and or jobs. Interning with Girl Scouts was a rewarding experience and it’s an internship I would definitely recommend to my peers who are studying Media and or Marketing. Girl Scouts is a place that aims to help build girls of courage, confidence and character, which is what they helped me with as a Girl Scout, throughout my internship and it is something that Girl Scouts will continue to as I continue my journey as a lifetime member.